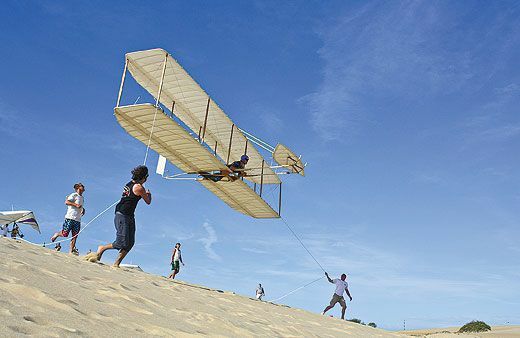 The Wright brothers never trudged up these dunes barefoot. 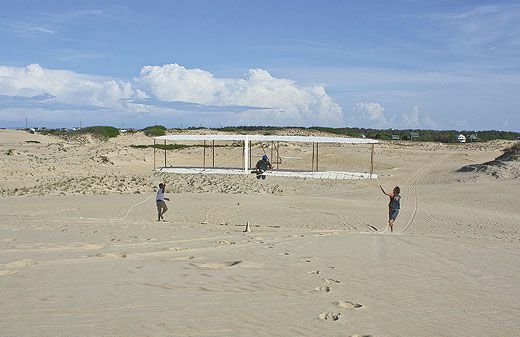 Bruce Weaver, Andy Torrington, and I are struggling to carry a glider up a sandy winding trail in Nags Head, North Carolina. 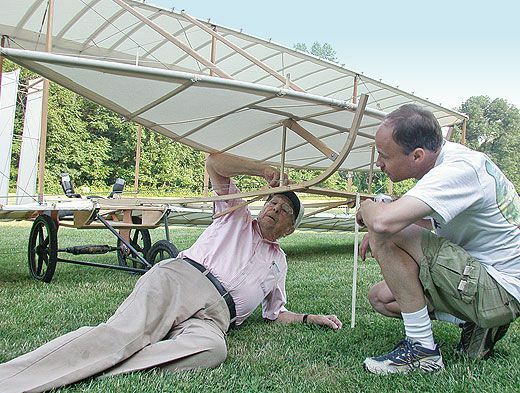 A near-exact reproduction of a 1902 Wright aircraft, the glider rests on a four-wheel dolly with balloon tires. Andy is pulling and steering, Bruce is pushing, and I’m trying to keep tree branches from snagging the flexing wings while tip-toeing on hot sand spiked with underbrush. 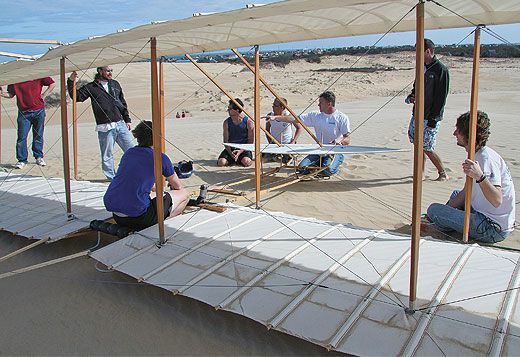 Barefoot is the best way to get up a hill of sand, but as the sun torches the tops of my feet, I start to appreciate the Wrights’ formality. 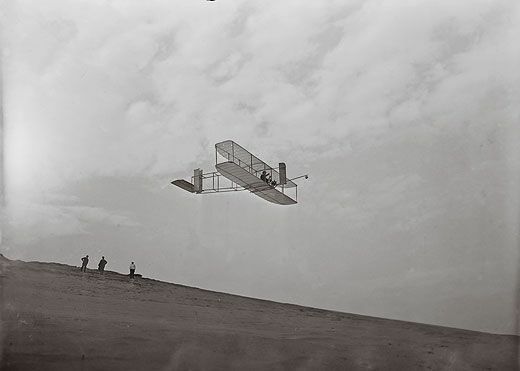 When they conducted their flying experiments a fewmiles north, they wore shoes (not to mention wool suits and ties).